The former Hurricane Jason Woodward has been in fine form for Brisol since signing from Super Rugby. The utility back doesn't seem keen on the Championship, with Exeter Chiefs or Gloucester looking like front runners in signing the Kiwi. Fijian offload specialist Leone Nakarawa has only spent one season with Racing 92, but that seems to have been enough. He's in talks with Northampton Saints, as well as former Pro 12 side Glasgow Warriors on a return to the UK. Bristol are facing life in the Championship next season, but that hasn't stopped them from some A-List signings. 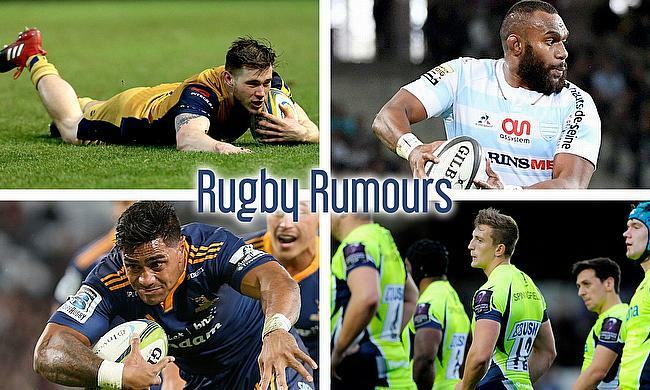 They have been sniffing around Sale Sharks for their backline talent... Will Addison, Sam Bedlow, Mike Haley? A player that isn't shy of our Rugby Rumour section is the 24 year old All Black centre Malakai Fekitoa. He's been linked with Wasps', and with Kurtley Beale's departure, they are clearly looking for a top flight back to fill the void.